Audi is planning to expand its model line up by adding up 20 electric vehicles where more than 12 vehicles would be SUVs and rest would be four-door GTs. Audi also plans to add several A-segment city cars in the new model line up to comply with the European emission standards and going more environment-friendly. The launch of the e-Tron system in the Audi models has made the Audis even more responsive and environment-friendly. Audi would announce the models over the next seven years and they would be introduced in the UK and Europe markets accordingly. As it is clear that Audi has confirmed 20 new models in the next seven years, and all of them would be electrified versions. Out of these 20 models, 12 cars would be fully electric e-Tron versions with a plug-in hybrid system. 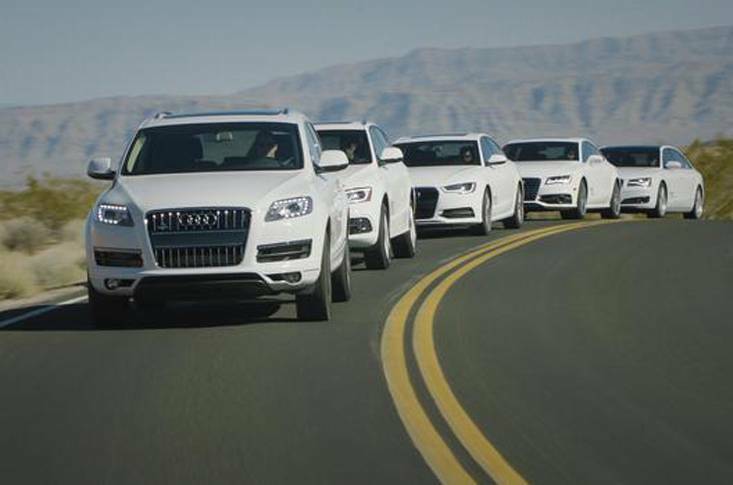 With the boost to Audi’s Q series SUVs at the same time. The e-Tron system is a front-end rival to Tesla’s Model X coupes and crossover versions. The e-Tron models have been badged as e-Tron Sportback, and these models would be introduced in 2019. Both models would be used with a heavily adapted MLB platform from Audi’s parent Volkswagen Group. It is an Evo platform in an unmodified form, which has already been used in the Audi A8 and Q8 model lines. Apart from Audi, other luxury brands including Lamborghini Urus, and Bentley Bentayga. At the Los Angles Motor Show, another member of the e-Tron family would be introduced in the concept form, it is expected by next month. The e-Tron GT concept car would be introduced heavy technology gadgets where most of the technology has been used from PB18 e-Tron concept. The stunning concept was introduced at the Pebble Beach show last month. The concept was also previewed at Audi’s annual press conference last year. Audi was expecting that the model would become popular in the coming years. Audi has confirmed that the new e-Tron GT is inspired by Porsche’s four-door coupe called Taycan and would use the same J1 platform which has been used by the Taycan. The vehicle is expected to go on sale in the next three years. The compact A3 sized model is the only other Audi e-Tron model to be confirmed. The new model would be based on the MEB all-electric platform of the Volkswagen group. Apart from small electric cars, it is expected that the German automaker would introduce a number of saloons, SUVs and Crossovers by the end of 2025. A number of electric models would be available for the Chinese markets as well. Porsche and Audi are working on a new platform and both automakers would use this new platform in their vehicles. A new platform called Premium Platform Electric (PPE). This platform would support a range of new models in the UK. Audi has also confirmed that it’s working with sister brand Porsche on another all-electric platform known as Premium Platform Electric (PPE), which will support a range of larger high-floor (SUV and crossover) and flat-floor (saloon and estate) all-wheel-drive electric cars. 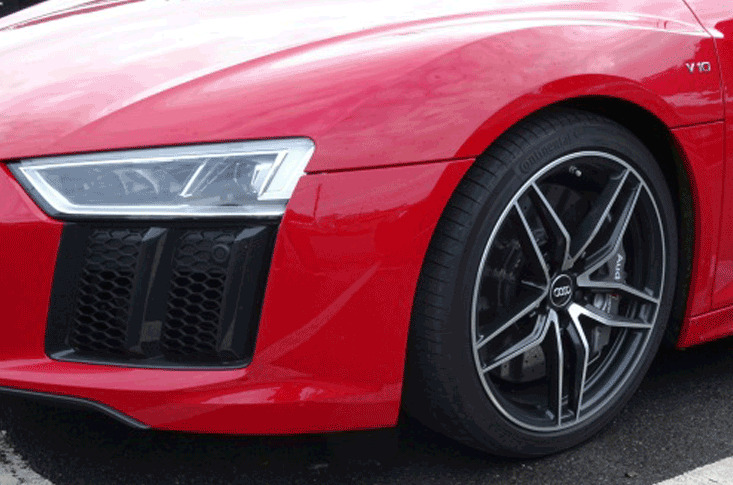 In the current Audi line up, there would be eight new models in the current Audi line up. The automaker is expecting more than 30 per cent to 35 per cent increase in sales and popularity index at the same time. Audi is expecting more than the two-thirds increase in the sales and if it happens somehow it would be actually an electrifying effect on the sales. The mild hybrid systems of 48-volt would be the benefit of Audi engines for internal combustion to increase the efficiency. The Q series of Audi would get benefit from its Audi electrification plan, and they would get 12 new Q models by 2025. Out of these 12 models, seven would be e-Tron models including the e-Tron Sportback and simple e-Tron. The Q4 and Q6 models are expected to be added in the model line up. However the often rumoured Q1 model line up along with the Q9 models who would rival the Range Rover Sport in the UK. Both models would be back on cards soon. These 20 models by 2025 would get an excellent chance of winning sales and according to Audi, the automaker has high targets with these models. They are expecting 30 per cent more sales than normal with these models. The sports version would be introduced on many of these cars and the automaker would introduce the RS and Sports versions of the new e-Tron models. Mr Fermin Soneira Santos, the vice president of Audi marketing division says that they have plans to produce an exclusively special version of e-Tron very soon and it would be something which would be an even more fun and joy.